As a data center professional you spend a lot of time and energy ensuring that the data center facility is protected and operating at its most efficient in a 7x24x365 environment. You participate in the testing of back ups, ensuring that your storage replication is adequate, and being operational at all times and under all situations. But the response of the data center professional in the first 15 minutes following an event can drastically change the impact to the data center and ultimately the continuity of the operations of the organization. 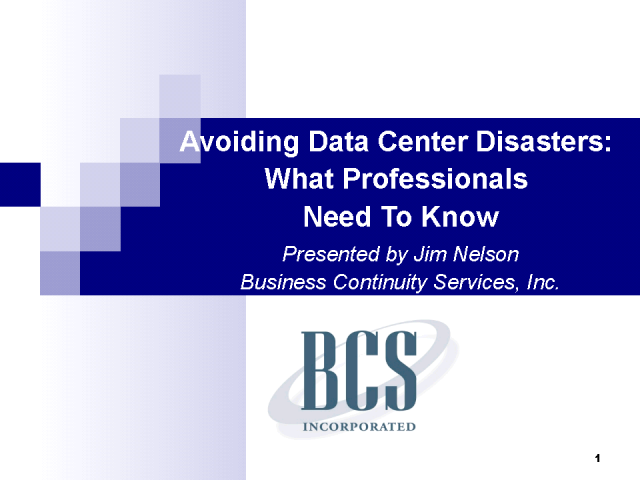 Attend this webinar and learn how you can protect your data center and gain an advantage through careful consideration and common sense.